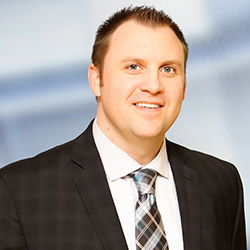 New Philadelphia, Ohio – Rea & Associates, a regional accounting and business consulting firm, is proud to announce that Kyle Stemple, MBA, CPA, CGMA, Rea’s east central Ohio regional president in the firm’s New Philadelphia office, has earned the Certified Exit Planning Advisor (CEPA) designation after completing the Institute’s intensive 4-day executive MBA-style program in Phoenix, AZ. He joins an elite group of business advisors who have received this designation and are a part of the Exit Planning Institute’s international community of CEPAs. The CEPA program is the most widely accepted and endorsed professional exit planning program in the world. The Certified Exit Planning Advisor program was specifically designed for business advisors who work closely with owners of privately held companies. The organizing principle of the program is Master Planning, the alignment of the three legs of the stool (business, personal, financial), which is executed through the implementation of a process called the Value Acceleration Methodology™. Using an executive MBA-style format, the program includes a combination of lectures, group discussions, case studies and individual exercises to introduce participants to these concepts and to reinforce skills. The program is taught by the Exit Planning Institute’s faculty of advisors, who are all sought after subject matter experts and authors. To receive the CEPA designation, Stemple completed the rigorous 4-day program that involved approximately one hundred hours of pre-course study, thirty hours of classroom instruction, and the successful completion of a 3-hour proctored exam. Proper exit planning has become a focal point for business advisors as 80 percent of business which go to market are unsellable due to poor preparation. Furthermore, 75 percent of business owners who do sell their business regret the sale after one year because they failed to plan for their personal lives after owning their business. As the regional president of Rea’s east central Ohio region, Stemple specializes in consulting, tax and audit services. He holds an integral role on the manufacturing and distribution services team and has earned a Green Belt in Lean Six Sigma. Stemple began his career with Rea & Associates in 2002 and, since joining the firm, has been influential on numerous manufacturing, consulting, tax and succession planning projects. He earned his bachelor’s degree in accounting from Kent State University and earned a master’s degree in finance from Ashland University. He resides in Dover. The Exit Planning Institute delivers interactive education and training, performance-enhancing resources, and strategic tools designed to enhance the exit planning profession. Formed in 2005 to serve the educational and resource needs of wealth managers, financial planners, accountants, management consultants, attorneys, M&A advisors, commercial lenders, and other business advisors, the Institute is considered the standard trendsetter in the field of exit planning. It is the only organization that offers the Certified Exit Planning Advisor (CEPA) program which qualifies for continuing educational credits with twelve major professional associations, making it the most widely accepted and endorsed professional exit planning program in the world. The Exit Planning Institute serves as a platform for creating awareness, advisor collaboration, innovative learning, continuing education, defining methodology, research, thought leadership, and practice development. Certified Exit Planning Advisors help to identify, protect, build, harvest and manage wealth to assist business owners and their families through an ownership transition.